Welcome to Audi Indianapolis! 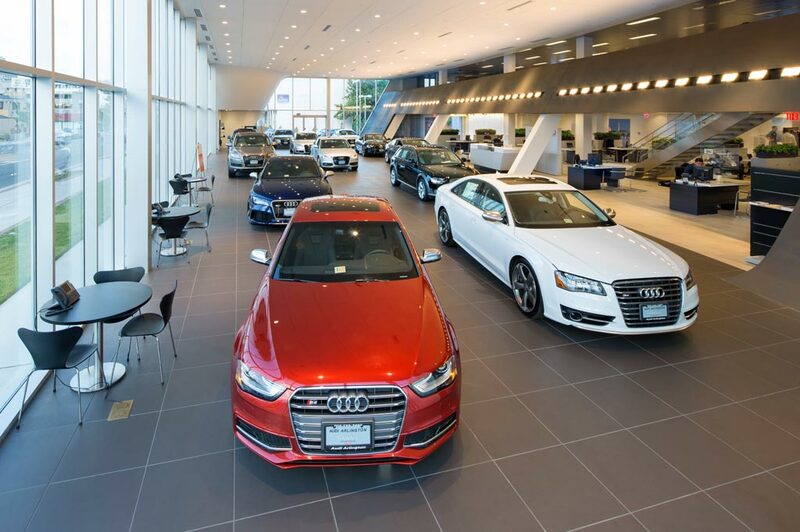 Whether you're from Indianapolis, Carmel, Fishers or the surrounding area, we're sure you'll find a vehicle that will exceed your expectations at Audi Indianapolis. With extensive inventories of new and pre-owned cars, trucks and SUVs, there's something for everyone! We're proud to present to you a full lineup of 2018 Audi vehicles. From the 2019 Audi Q8, to the 2019 Audi A6 and the 2019 Audi Q5, we have just the vehicle that you've had your eye on. If you're thinking about purchasing a pre-owned Audi vehicle instead, you're in luck because we also have a wide variety of pre-owned and certified pre-owned Audi vehicles. If you've taken a look through our new Audi showroom and aren't seeing what you're looking for, fill out our CarFinder form and our team will work to find a car for you as soon as possible. Not only does Audi Indianapolis provide you with an impressive selection of new and pre-owned vehicles, but we also have an Audi service center and a tire center to help you out every step of the way. From the day you purchase your vehicle, Audi Indianapolis will be with you for the entirety of your vehicle's journey. Saving money at Audi Indianapolis is easy with our various Audi service and parts specials. Whether you're looking to purchase your next vehicle, just getting started with the process, or if your Audi just needs a tune-up, come into Audi Indianapolis. We're located at 4610-B East 96th Street, Indianapolis, IN 46240! We're looking forward to working with you soon!